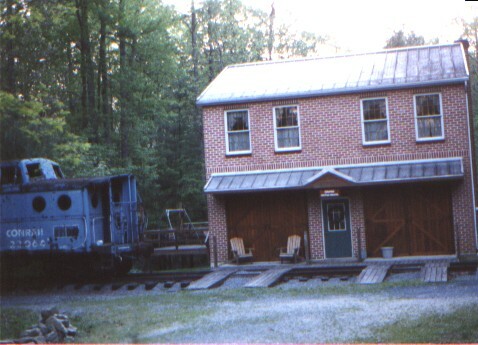 ="Cumberland Valley Railroad,Reading Railway, Pine Grove Furnace, Mt. 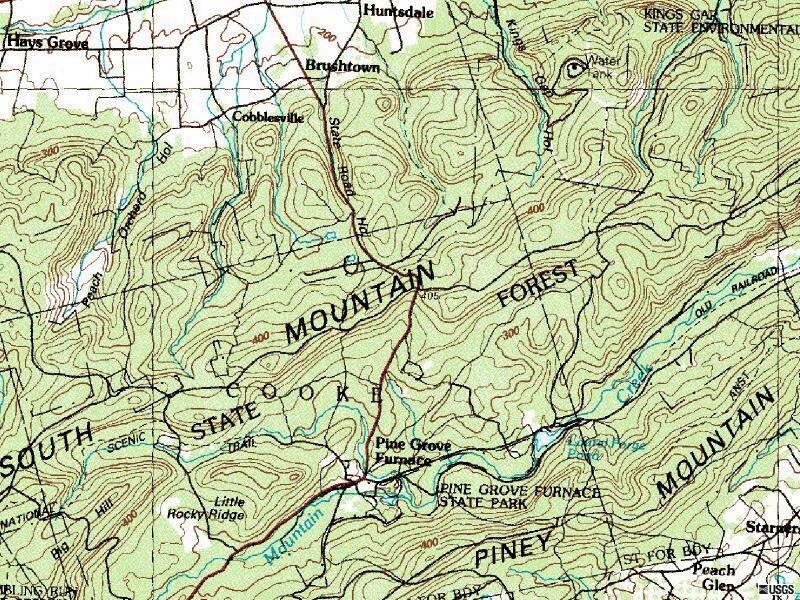 Holly Springs, South Mountain Railroad, Gettysburg & Harrisburg Railroad"
Near Hunter's Run, the South Mountain right of way is part of the Appalachian Trail. 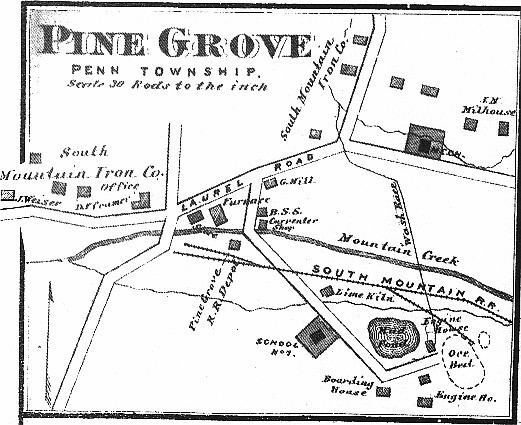 Between Toland and Pine Grove, this landowner has a real sense of the history of the area. The rails are right on the railroad right of way. 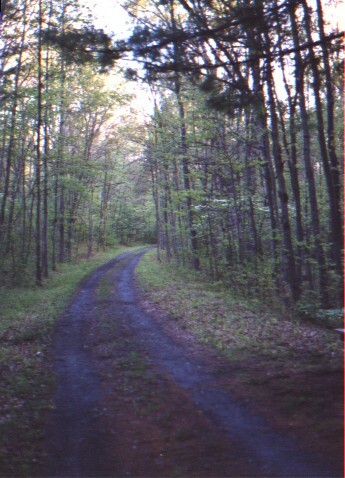 While in the Michaux State Forest, the right of way is a bicycle path. 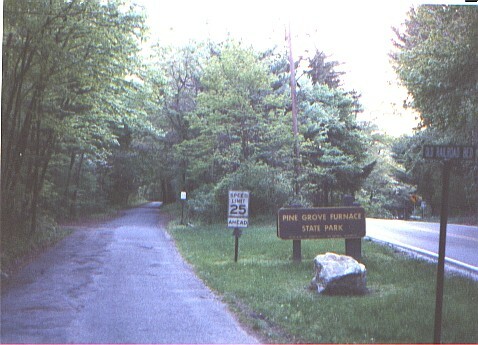 Near the entrance to the Pine Grove State Park, the right of way crosses the highway. 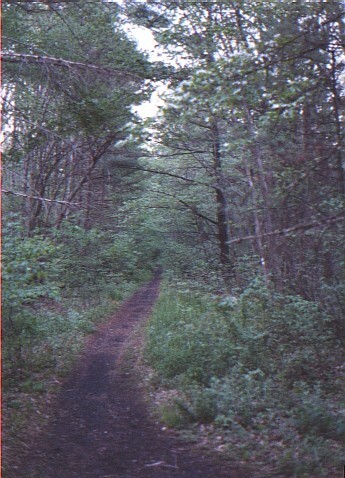 The road sign reads "Old Railroad Bed" . 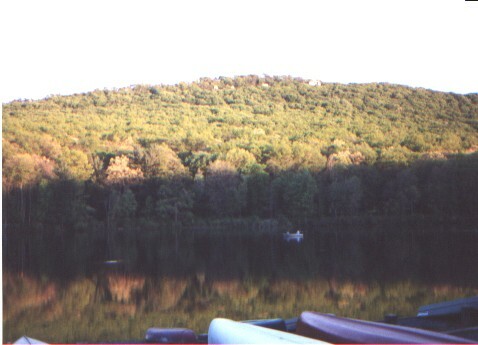 Laurel Lake. 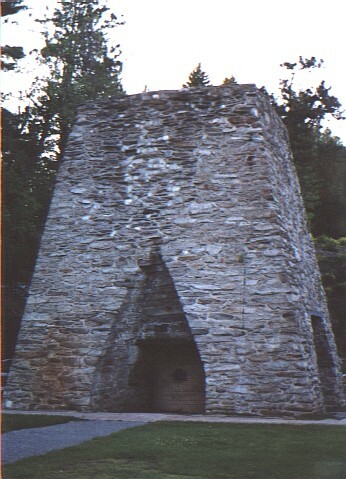 Near the top of Piney Mountain is Steeple Pool Rocks.